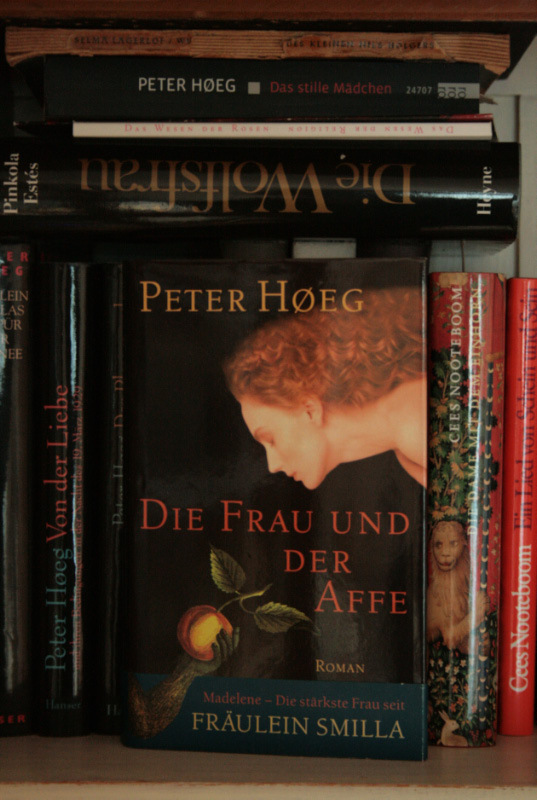 Than I find a book and some music of the Peters: The Woman and the Ape of Peter Høeg and Stadtaffe of Peter Fox. 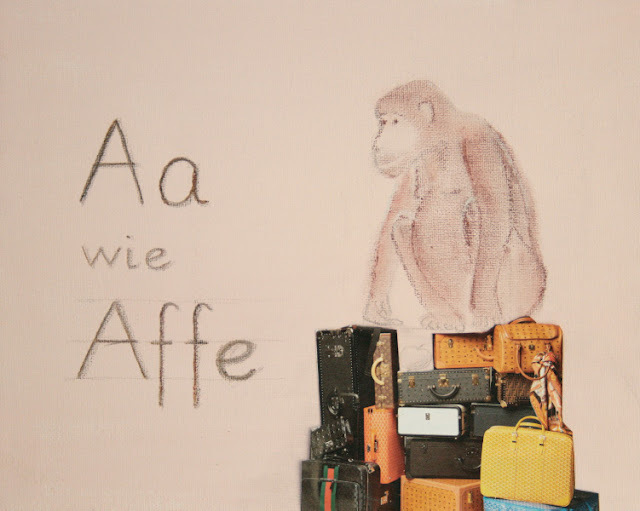 'Aa wie Affe' means in English 'Mm like Monkey'. 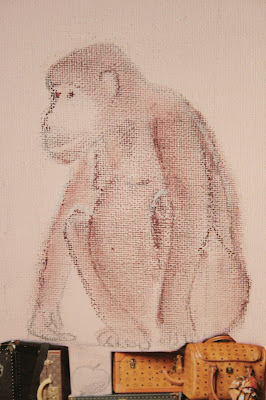 I grounded a 24x30cm canvas with acrylic and draw with pastel colour. The monkey's rock is added with a photo of a heap of suitcases from the German Vogue. 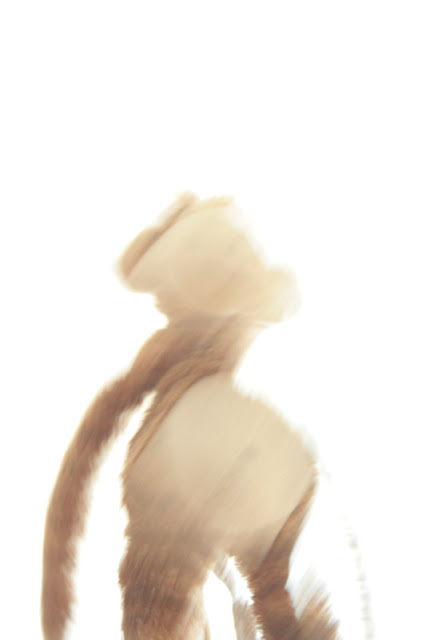 For more Monkeys get over to the Swedish Sock Festival of rocking Elisabeth! das foto deiner tochter ist zauberhaft lebendig - ein kleiner fröhlicher wirbelwind! wunderbar dazu der in sich ruhende affe. deine inspirationen gefallen mir sehr! monkey, monkey, monkey business; sprightly lady...! i am so intrigued by that first image! for the life of me, is it an image, or a draught? i love it! but your drawn monkey does look the clever part! school starting already? gosh, we are late then here, with september only being the kick off to another school year. i hear others start up again too. enjoy your swedish (?) sunday, too. yes, a lot of monkeys... and thanks. 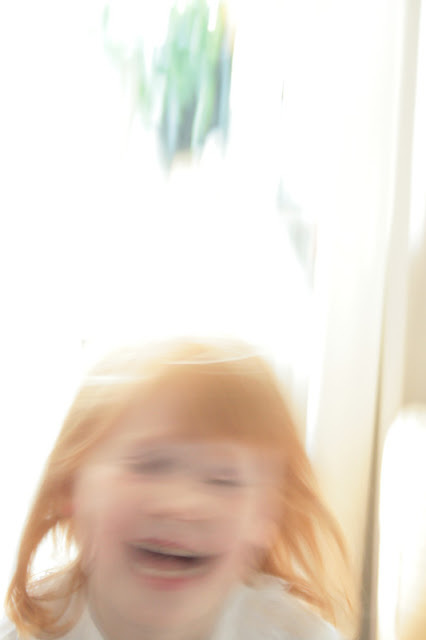 the first pic is an image: its a flying doll-monkey, thrown by the human monkey in pic #3.
oh i love that first out of focus monkey and then the fuzzy cheekiness of your ginger haired monkey-child! and i always love suitcases in a pile. and brown pastels too. like chocolate. The Woman and The Ape - an intriguing title. I don't know it.